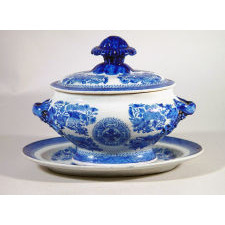 Antique Dealers Association of America - Chinese Export Porcelain Blue Enamel Fitzhugh Sauce Tureen, Cover and Stand, Circa 1810. 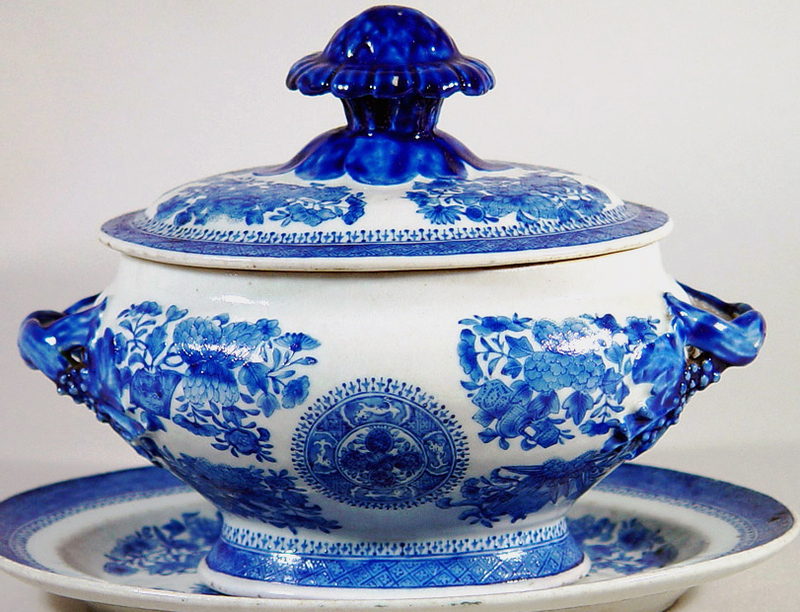 The rare Chinese Export tureen is of an oval footed form with a dark blue floral knop and strap handles. 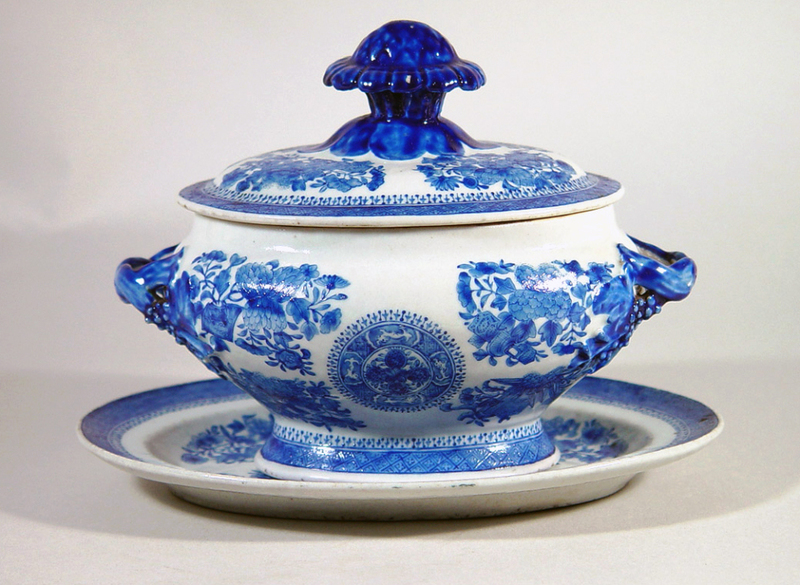 The tureen, cover, and stand are decorated in the Fitzhugh pattern but rather than in underglaze blue, this tureen is in a blue overglaze enamel. 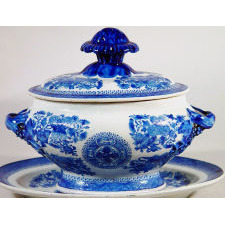 Few pieces are known is this manner and it is most probable that all known pieces come from the same service probably made for the Swedish market.